Get the family ready for the next vacation away from Green Bay with the spacious and luxurious 2018 Chrysler Pacifica. With loads of room, excellent features, and upgradeable amenities, this minivan is anything but bland. 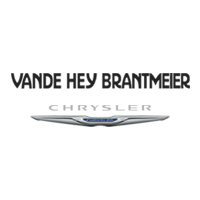 Take a closer look at what’s inside this vehicle, and don’t forget to stop by Vande Hey Brantmeier today to test drive one for yourself! Step Into a Pacifica Today at Vande Hey Brantmeier! Come visit us today in Chilton and see for yourself why the 2018 Chrysler Pacifica is one of the best minivans on the market right now. You’ll find all the excellent features mentioned above, and more, across our entire 2018 Pacifica inventory. Stop in today or contact us with any questions you may have!